At the Frankfurt Motor Show 2015 by introducing its new models Audi undoubtedly gained commendable eyeballs and appreciation. In queue to the models like A4 Avant, S4 and R8, company also shared its newly designed Audi S4 Avant 2016. The swift wagon just like its sedan sibling gets some new touches, which being frank primarily includes the mechanical changes with the complimenting exterior and interior refreshments. 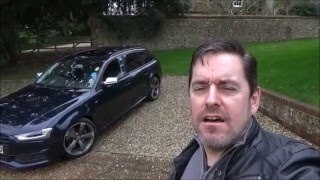 Let us have a look at the review of Audi S4 Avant 2016 to know more about it. The interior of Audi S4 Avant 2016 is classy and spacious. The S Sports seats come covered in pearl Nappa leather and Alcantara drenched in ebony, rotor gray and magma red colors. Seats have adjustable headrests and pneumatic massage functions providing you utmost comfort. Around you, you can notice the brushed aluminum trim replacing the standard trim that we used to have in predecessor models while the door sill trims featuring S4 logos are now illuminated giving a touch of uniqueness and luxury. Talking about the features model has a fully digital instrument cluster just like its sibling, allowing the driver to change the view from three given options, out of which my personal favorite is exclusive sport screen. There is also a 8.3 inch screen mounted over the dash and loaded with infotainment features and Audi connect for your entertainment while the head up display and an Audi tablet add further to the entertainment of passengers. Thus rounding up the interior details of Audi S4 Avant 2016 I would say, it’s simply mesmerizing. The exterior of Audi S4 Avant 2016 compliments the entire interior and the engine while rolling over those 18” wheels. Starting with the front fascia you have the entire revised setup that includes grille, headlights and the massive air intakes integrated in the bumper. Moving towards rear end you’ll have revised taillight graphics, quad tip exhaust outlets and an all new bumper splattering the blend of uniqueness that I presume , engineers and Audi might be have while designing this model. 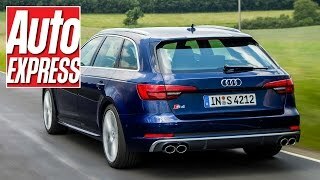 Rounding up the exterior details of Audi S4 Avant 2016 all I can say is, the fast wagon is now adorned with some distinct traits that will undoubtedly mark a glory while rolling down the lane. 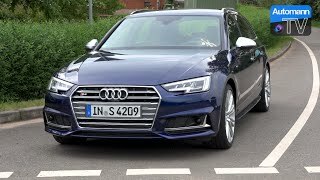 Rolling the body of Audi S4 Avant 2016 is a 3.0 Liter TFSI V6 engine cranking total output of 354 hp and peak torque of 500 nm paired to eight-speed automatic transmission. 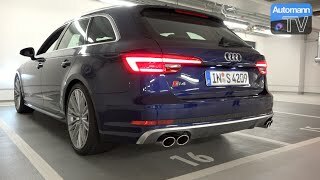 The power so generated takes the top speed of Audi S4 Avant 2016 to the mark of 155.3 mph while the 0-62 mph sprint can be knocked in just 4.7 seconds.